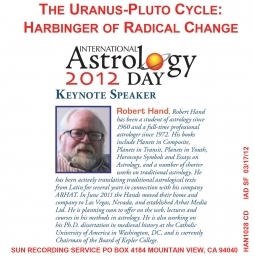 Rob Hand has been a student of astrology since 1960 and a full-time professional astrologer since 1972. His books include Planets in Composite, Planets in Transit, Planets in Youth, Horoscope Symbols and Essays on Astrology, and a number of shorter works on traditional astrology. 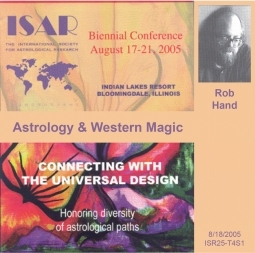 He has been actively translating traditional astrological texts from Latin for several years in connection with his company ARHAT. In June 2011 the Hands moved their home and company to Las Vegas, Nevada, and established Arhat Media Ltd. 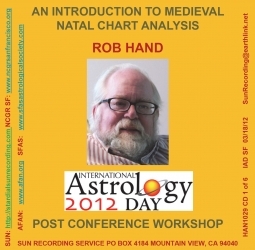 He is planning soon to offer on the web, lectures and courses in his methods in astrology. He is also working on his Ph.D. dissertation in medieval history at the Catholic University of America in Washington, DC, and is currently Chairman of the Board of Kepler College (Bio prepared in 2012). The medieval method of solar revolutions, a.k.a. solar returns, is much more comprehensive than its modern equivalent. The method is thoroughly embedded in traditional natal chart delineation and integrated with other predictive techniques. Much of the ambiguity of modern solar return methods is therefore avoided. 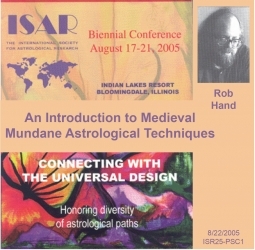 The use of the complete medieval method of revolutions should restore the technique to the status that it once had of being one of the principal predictive techniques of astrology. Basic Knowledge of Astrology Required.